EURJPY is under the influence of some economic reports such as Spanish 10-y Bond Auction, French 10-y Bond Auction and ECB Monetary Policy Meeting Accounts for EUR and Industries Activity m/m and Core Machinery Orders m/m for JPY. The chart has been choppy during this week moving in the neutral area but considering this month it has been moving with bullish bias. The support lies at 123.160 with resistance at 123.920 which both lines are above the weekly pivot point at 122.950. The MACD indicator and the RSI are in neutral zone not providing any signals for traders. Moreover the EMA of 10 has met the EMA of 50 at the same spot. 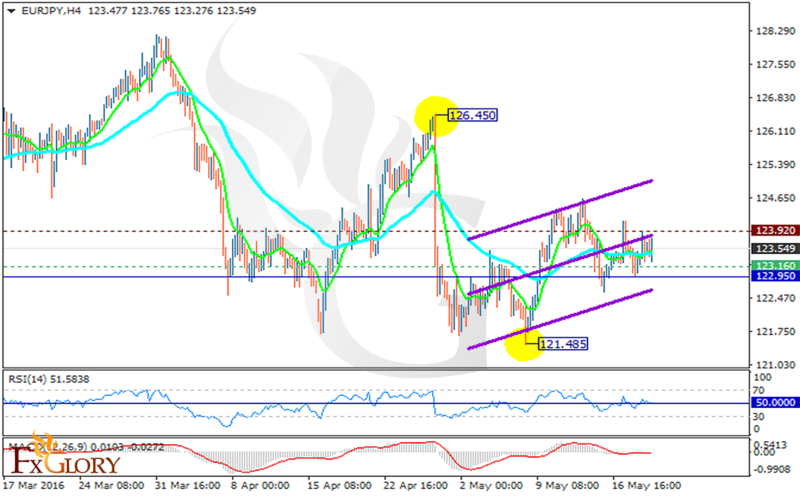 There is no clear signal for EURJPY at the moment, traders should wait for a better chart setup.